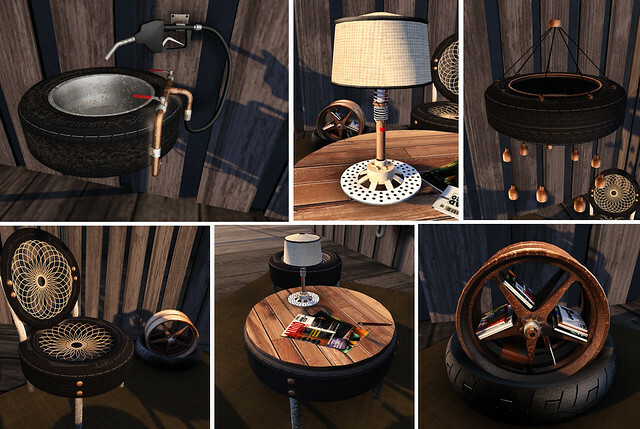 Here is another astounding furniture set you can find at the Roulette event. Each pieces are inspired by wheels from chairs, magazine rack, table, lamps down to the sink and chandelier. This creation is by BeYaZ Boxen of P&W Designs. All these are mesh made, low prim and remarkably detailed. Very impressive!! This furniture set also comes with sit poses and animations. Now the sink has 7 animations and also comes with 23 adult animations!! Total set has only 27 prims!! I'm like OMG!! its truly commendable. 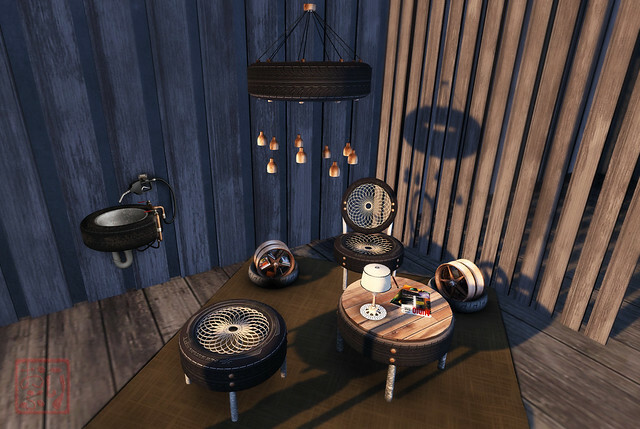 This furniture set will be available at the Roulette Event.